STL Export for IntelliCAD is a Stereolithography STL file export plug-in for IntelliCAD powered applications. 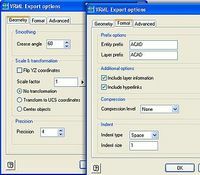 This plug-in gives IntelliCAD powered applications the ability to export geometric data to ASCII and Binary STL files. The STL file format is the Rapid Prototyping industry's standard data transmission format and is the format required to interact with stereolithography machines. Stereolithography files contain solids which are made up of 3 sided facets. STL Export for IntelliCAD converts these facets into a single PolyFace Mesh entity and adds it to the active drawing. 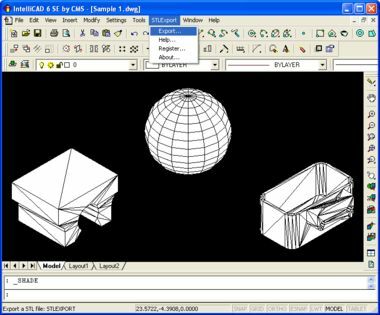 STL Export for IntelliCAD is very easy to use as it adds a new command to the IntelliCAD powered application called "STLExport". 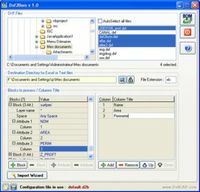 Simply type "STLExport" at the command prompt and select the objects to export.